After calling around to many local guitar shops, I realized that my dream of regaining a long lost Steinberger XL2 bass was fading into the obscure. I had resisted placing my faith in the internet or any of the online auction websites, because finding such a rare instrument and one in truly acceptable condition would seem to demand in-hand verification, preferably prior to payment! Luckily, I had heard about Don Greenwald, a Steinberger collector, who could help folks track down these rare instruments. I sent him an e-mail and the next day I got a return e-mail from Don. 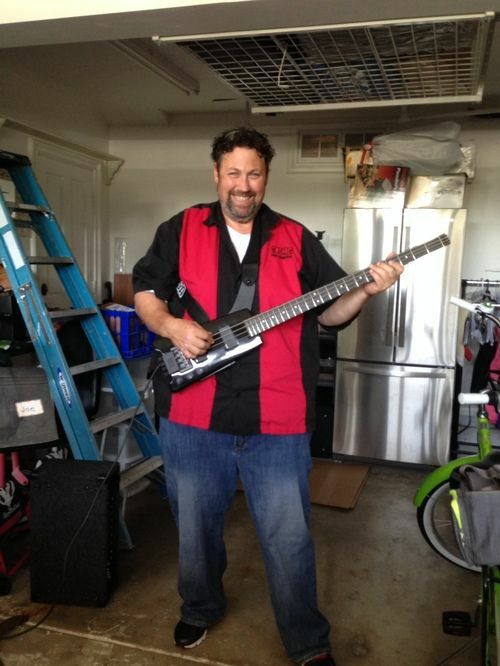 He sent me his phone number and when we spoke, I quickly learned that Don was well-steeped in Steinberger history, full of passion for these unique instruments, and extremely knowledgeable about their various incarnations. We had a great talk and my mind was put at ease about dealing with someone halfway across the country about a substantial investment in my happiness. I was looking for a bass, not as a collector of antiquities, but as a guy that just loved to try to play along with his favorite Rush songs in the basement. Based on our conversation, Don picked out three instruments ranging from one in excellent shape, but with some minor cosmetic problems (tiny holes on the face from a previous owner removing a thumb rest), to a near-perfect bass, reserved for the professional musician or collector. Don clearly stated the terms and price for each, and provided numerous pictures of the instruments, along with pictures of them together for comparison. He offered to send additional pictures, but I made my selection without the need for more. 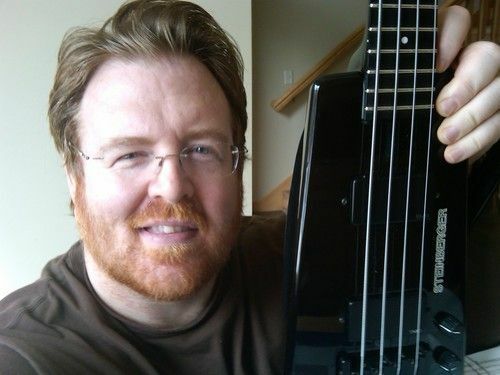 Don explained that once I had made my selection, he would take the bass to his friend, Jeff Babicz, the former head of production at the original Steinberger factory, to do the setup and adjustments prior to shipment. That also surprised me, and added another layer of trust and anticipation. I felt I was dealing with people that had been with the Steinberger movement since its start. I must now admit that beyond what Don had told me, I did not know who Jeff Babicz was or what he had accomplished since his days at Steinberger. So, after a quick internet search, I was amazed that "The Jeff Babicz" would be even in the same zip code as my bass, let alone set it up for me. I viewed his website and read various articles and other blogs about him, and was just floored that he was going to be involved in this process, thanks to Don. When the bass arrived, I was relieved and elated. The instrument was exactly as Don described, but it sounded so great, and played so well, that I felt I got more than I bargained for. Don had taken so much care and was so invested in the process, that all my expectations had been surpassed. From the very first email, to cutting through layers and layers of "bullet-proof" bubble-wrap packaging, to playing this superb instrument for the first time since losing one in 1994, this whole experience was a testament to those rare folks that, in their own personal devotion to excellence, raise the standards of those with whom they interact. I was looking for a bass that would play well beneath my rusty, thick fingers, and I was given a masterwork that has rekindled my passion for playing music. "I just got home to find my beautiful steinie XL2A waiting for me. It truly is incredible! Sounds amazing and plays like a dream. Thanks so much for all the patience and assistance. I have got to know Don with an inquiry from Japan to his auction of Steinberger, GL2T of which is listed on eBay by Don. We have been contacting so many times, "It will be hundreds of times, exchange of emails" as he said. I have not playing guitar for long time, but Fukushima nuclear accident occurred in March 2011. I have decided that we could to something for recovery of our living with music. I stared to call my former band members to get gather in studio. GL2T is the instrument that I was dreamt of. Because my favorite guitarist, Eddie Van Halen was playing in the 1980s. I stared to look for purchasing it, but in 2011 in Japan, lunch box type Steinberger available for quick purchase was the only GL4TA. I have never known the sound and playability, so I tested with copy model of which body is made of wood. I decide to purchase real Steinberger due to the playability and easy to care, which does not apply to vintage guitar from Fender and Gibson. We are not in museums; we are in daily living with four seasons. I will go to pick nick for someday with them. I stared to contact Don for GL2T, Don told me a lot of things that I could not get, even Internet because he was music storeowner and his store is one of Steinberger distributors. Don was very kindly tells me the history of productions. In order to perform a mass production, Zenon, Japanese company was starting machine production for its arm unit instead of the craftsman. The structure of the arm unit of is both same, but Don told me the best model of GL2T is GL2T with Modification (Mod.) #1 of which arm unit is produced by the craftsman. Listen to the story of the arm unit of Steinberger ‘s; I have noticed the unit is running more smoothly than those of Zenon 's production. Don sent me a photo raised three rare that series. So, I was starting to plan to play with them from Japan to New York. A year later, fortunately I was transferred to United States, so I have finally seen Don and played the three GL2T with Mod. #1 in 2013. It was hard to select one from them because they are all mint condition even before the restore process of Jeff Babicz. I have chosen the one from the conditions of pickups, frets and body to avoid the model, which has been played frequently. I have already asked restoration work by Jeff for my GL4TA, I have no wonder that these 30 years old guitars will reborn as a brand new. GL2T I picked was also perfect one. It can be said to have been called lucky that Don himself had met with Jeff, this work of two people and the world's leading of Steinberger’s guitar. Then on manufactured bridge GL4TA on hand, compared to the sound of the unit homemade GL2T with Mod. #1 remarkable. Unit structure is almost identical, but the amount of resonance with the body and that the latter behave organic more different. It can be said therefore, resonance made inferior wood and the plastic body, which is also the disadvantage of the latter, but only Steinberger and that makes up for that point than the former. I heard the trend of recent customers to Don for my curiosity. Mature layer you want bought him of the best "vintage guitar" for their child was the answer. 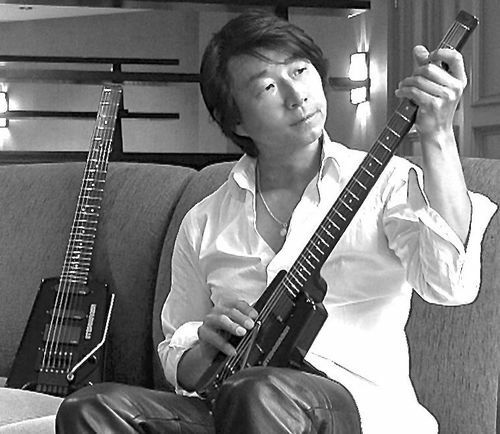 The first GL2T, Steinberger guitar appears in Japanese market in 1980’s, the prices is around $7,000. It was not the amount of money guitar Kids in high school can be on hand at that time. It is a price that is comparable to the top-end model of Fender and Gibson. Pricing but have been in the United States perhaps some of the wooden guitar at that time, but what this would some integral guitar that is keeping the player's condition. And which vintage guitar will keep their condition for another 10 to 20 years for guitar players. Achievement of Don Son of had a repairman best that Jeff will continue over the eternal in the future. Japanese are very strict in customer care and quality of goods. Since I have met Don, he is the best dealer who Japanese satisfied with, even after-sales follow-up and speed of correspondence. And he is a player in the world that really love the instrument advanced Steinberger that more than anything, I think to be a technician. I hope to go and want to expand to attract Steinberger fan in the world to have the passion and professional ism in the future. There is a guitar policy by Ned Steinberger, "The Sounds will not change anywhere in the world, or any era can have". But we need both Don and Jeff, as long as we play Steinberger for the lifetime. My experience dealing with Don Greenwald and HeadlessUSA.com has been outstanding! Don is very attentive, and was quick to answer my many emails and questions via phone. Back in the day, Don owned his own guitar shop, and he was a dealer for virtually all of the "big name" guitar manufacturers. Back then, Don believed that the Steinberger's were the highest quality guitars that he carried, and nowadays he deals solely in Steinberger guitars. Quite a testament to the brand. I had previously owned an imported Steinberger-built guitar called the Synapse. I liked this guitar a lot. It had a stable neck and was very portable, but I quickly realized that I wanted a "real" top of the line USA-built Steinberger. Headless USA is the only real choice if you're interested in a top-quality, original USA-built Steinberger. Calling the used market (eBay, craigslist, etc....) a "crap-shoot" isn't even close to being accurate. All of the used Steinberger's available require lots of restoration to function properly. Sellers on these sites will always state that their guitar "plays great" and that it is "set up to perfection". Unless the guitar has had a full mechanical restoration, this simply can't be true. All Trans-Trems, S-Trems etc. will need their bearings and pins replaced, and many other parts cleaned, re-calibrated and lubricated, at a minimum. Headless USA has a huge selection of Newburgh-era Steinberger's in stock at all times. I knew that I wanted a GM series guitar, with active electronics and a Trans-Trem vibrato system. I prefer the more traditional guitar body shape, and the GM's seductive lines look great, yet it retains all of the original Steinberger's advanced technology. I also knew that I wanted a black guitar with white binding, for its classic "black beauty-tuxedo" good looks. Don provided me with tons of high quality pics of 3 guitars that met my specifications. The only real differences in the 3 was their physical condition. The guitar that you decide on will be completely mechanically restored. All of the electronics, neck, frets, etcetera will be made perfect. So, all that you need to do is to choose which guitar to use as a starting point, based on its cosmetic condition. All guitars will be functionally perfect when shipped. I selected the guitar that met my criteria. It was in near mint, unused condition. Turn around time for the restoration process was only about10 days. 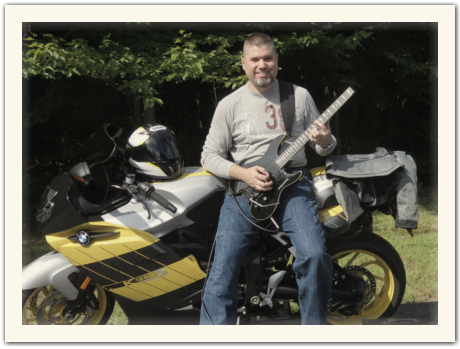 This brings me to the master luthier who will be restoring your instrument; Jeff Babicz. Jeff was a long-time employee at the original Steinberger factory in Newburgh, and he worked in nearly every department at one time. This means that that he was able to learn and master all of the many facets of building and therefore maintaining and restoring Steinberger guitars. I have read extensively about Jeff Babicz talents, but to experience them first-hand is simply amazing. Receiving my guitar was truly like stepping back in time to 1988 and purchasing a brand new Steinberger. I chose to purchase one of Headless USA's form-fitted hardshell cases to protect my investment-quality instrument. Opening the case, I was greeted by a perfect "time capsule" guitar! Don included all of the cool "case candy", including a fretboard protector plate, Headless USA strap, an extra set of strings, tools, and best of all, Jeff Babicz's comprehensive work order! This document details all of the work that was done during the restoration process. Now, for the best part of all; to finally play this beautiful instrument! My guitar arrived perfectly in tune, of course, and the Trans-Trem was set up to perfection. This guitar sounds great, truly like no other, and instantly moves to the top-tier of my guitar arsenal. The composite neck, double-ball end strings, and the Trans-Trem all contribute to this guitars sound. It rings like a bell, even when unplugged. This is always a sure sign of a guitar that will sound even better when plugged in. The clean tones are so clear and bright. Easily the best tones from any electric guitar I have experienced. The metal tones from the EMG 85 are precisely what I expected, and nailing an 80's crunch or searing lead is just a twist of a knob away. Which brings me to the active tone controls. I chose the HAZ Labs version #2 active tone circuit, with stacked tone controls, allowing for precise bass and treble boost and/or cut. Having tone knobs that actually make noticeable and useable changes to the sound is a new experience for me. Previously, I have set my tone knobs to 80% and then never touched them again. Not the case with my Steinberger! The master volume is equally precise, providing great and different tones throughout its sweep. Even though my guitar has only a single humbucker (albeit placed in the precise sonic sweet-spot), I find that I can get many, many different sounds, through manipulating the volume and tone controls. The Trans-Trem is truly a magnificent piece of engineering. As a plain functioning tremolo, it works great, easily equaling the feel of a Floyd Rose, yet it stays in tune throughout its range, both up and down! Then it locks in place, and functions as a hard-tail guitar, if you wish. Finally, it transposes into 4 other keys, locking perfectly in tune into each! I can play the guitar as a straight-ahead rocker, or as it was designed as a versatile, do-everything guitar! Last, but not least, the fret-work. The frets were all beautifully micro-polished and set and leveled, expertly. The zero-fret area was precisely notched with the "EVH Mod" which was a set-up specification that Jeff performed on Eddie Van Halen's original Steinberger! In closing, I can't thank Don Greenwald and Jeff Babicz enough. The buying experience was painless and Don couldn't have been easier to deal with. Then add in Jeff's masterful restoration, of one of the best instruments ever made, and you have the perfect combination. This is surely my first of many Steinbergers to come. Thank you gentlemen, you now have a customer for life!